All furniture is made to order and produced from my studio and workshop, located in western North Carolina. Each piece is signed, dated, and constructed to last generations. To purchase from the existing design collection shown on this website, please call or send an email. All pieces are offered in a wide array of hardwoods and finish options. Minor adjustments in dimensions are often easily accommodated. 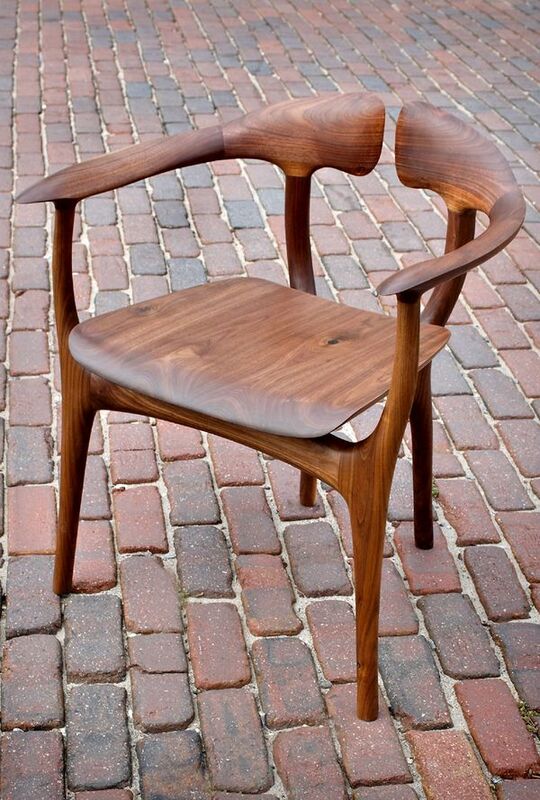 Aside from the existing collection, Brian Fireman Design specializes in one-of-a-kind and commissioned work. To begin a conversation, please call or send an email. Helpful information at this time includes the size and type of piece you desire, room dimensions and other pertinent details regarding where the piece will be placed, the type and color of wood you prefer, and an acceptable price range. Commissioning a piece of furniture is a collaborative process, and all suggestions and input are encouraged and welcome. Sketches will be made for your review and approval with a typical minimum design fee of $250. This charge will be applied to your order if you decide to proceed with the project. For all orders, a 50% deposit is required to secure a place in the production schedule. At this time, wood will be hand-picked for your project and production will commence. Lead time is typically 12-16 weeks, with the remaining balance and delivery fees due upon completion. Depending upon the piece, crating is sometimes required. Most furniture, however, is shipped via a white-glove delivery service and delivered at your convenience.